Josephine Foster's path led her from Barbra Streisand to opera school to an acid-rock one-off. As a teenager in Colorado, Josephine Foster spent much of her time playing classical pieces on the family piano and scouring thrift shops for vintage sheet music. "Growing up, I really hated pop music," she says. "I flat-out rejected it. I simply didn't allow it into my ears." The music she embraced instead--Tin Pan Alley standards, 20s Broadway scores, Appalachian folk--profoundly shaped her as a songwriter, and she's now well rooted both within the indie-rock establishment and the New Weird America demimonde. Her latest album, Hazel Eyes, I Will Lead You (Locust), came out in April to raves from the likes of NME and Pitchfork, and she's been on the road practically nonstop since February. She played at the Slint-curated All Tomorrow's Parties festival in England with her band Born Heller, toured with Devendra Banhart, and gigged solo everywhere from Portland to Poland; she returns to Chicago to perform Saturday at the Two Million Tongues Festival at the Empty Bottle. "Musically, I feel like I'm in a weird place where anything goes," she says. "So I can fit in a lot of different contexts." Though Foster's otherworldly soprano and unusual phrasing have drawn comparisons to 60s British folk icons like Shirley Collins and Anne Briggs, she didn't have the chance to hear much outside the mainstream as a child in Steamboat Springs, Colorado. "My exposure to stuff usually came about in weird ways," she says. "The first time I heard Debussy was on a Barbra Streisand record...the first time I heard jazz was on Willie Nelson's Stardust. That's a strange way to discover that kind of music. It's an unusual filter, and I think it affected me." She began writing at 12, mostly composing on piano before moving on to guitar in high school. As a student at Colorado State University she began writing and directing short plays and chamber operas, which prompted her to enroll in Northwestern's opera program in 1998. Her stay at Northwestern lasted only a year, though. "Opera is kind of a supernatural experience," she says. "There are these gigantic stories and big orchestrations. But at the same time I have trouble with authority, and opera is like the ultimate authority. You can't mess around with the notes or diction, you can't sing out of tune. There's such a strictness there that you spend all your time trying to attain this perfection. And I thought there was a better way to spend my creative energy." After dropping out, Foster began teaching music to grade schoolers on the south side, which attracted her to children's songwriters like Ella Jenkins and Mike and Peggy Seeger. Inspired, she started recording homemade CD-Rs, accompanying herself on ukulele on 2000's There Are Eyes Above and adding autoharp, banjo, and more to the mix on 2001's Little Life. 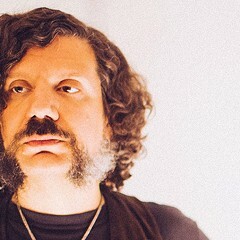 Around the same time, Foster began playing with bassist Jason Ajemian in the acoustic duo Born Heller and with guitarist Andy Bar in the Children's Hour. The latter group released its debut, SOS JFK (Minty Fresh), in 2003. Foster and Bar spent six weeks on tour opening for Billy Corgan's post-Smashing Pumpkins outfit, Zwan--a bizarre match given the delicate sound of the Children's Hour. But Foster wasn't averse to playing in a rock band: Last year she teamed up with the Supposed, a group from Bloomington, Indiana, for an acid-rock exercise, All the Leaves Are Gone (Locust). "All of the singers I admired shared something similar, regardless of the genre," she says. "An opera singer like Marilyn Horne had the same quality as Grace Slick. So [acid rock] was something I wanted to try." For Hazel Eyes, I Will Lead You she's returned to the solo acoustic format, playing all the instruments--including sitar, sand blocks, harp, and guitar--and deftly shifting between spooky hill folk, 19th-century music hall, and Far Eastern music. The best songs--the homespun country number "Hominy Grits," the jubilant spiritual "Good News," and the mesmerizing faux aria "The Siren's Admonition"--are unified only by Foster's spirit of eclecticism. "To me, every chord has a color," she says. "And so I'll just begin to sing over some chords depending on my mood, and make up words as I go along. Usually I get a skeleton of a song right away, then I'll come back and finish the lyrics and write a bridge. Really, though, I just try to make music I like and that I'll want to sing over and over. Everything else is just a mystery." In August Arthur magazine's Bastet label rereleased The Golden Apples of the Sun, a 2004 compilation assembled by Devendra Banhart that includes an early Foster track, and Foster's currently selling a new four-song EP at shows called A Diadem. She also appears on a forthcoming split single on Nihilist Records with Spires That in the Sunset Rise, singing on a version of the British trad folk number "Are You Going to Leave Me?" with Panicsville (whose Andy Ortmann will also perform at the Empty Bottle show). Reviewers of Foster's records and live shows have tended to play up her opera training, but she's quick to point out her shortcomings as a diva. "The truth is, I wasn't a very good opera singer," she says, laughing. "I sang out of tune, I made a lot of mistakes. I was quite a big failure. I'm a result of all my failures. That's why I'm here. This is the only thing left." WBEZ has recently been preempting Ken Nordine's weekly program, Word Jazz, to air a series of specials on music icons like John Coltrane and Johnny Cash, but he's back on the air on Sunday at midnight; as if to make up for lost time, the station's expanding his slot to a full hour for the next few months. Nordine, 85, kept busy this summer with other projects: he released his first DVD, The Eye Is Never Filled, on his own Snail label, and discussed his work for a Canadian television documentary, Stare With Your Ears, that featured interviews with admirers like Billy Corgan, Tom Waits, Laurie Anderson, and Strictly Kev of DJ Food. On November 11 the online label Hip-O Select (hiposelect.com) will release You're Getting Better: The Word Jazz Dot Masters, a limited-edition set (5,000 copies) collecting four albums Nordine recorded for the Dot label between 1957 and 1960, along with unreleased tracks. Nordine was a young voice-over actor in 1955 when Dot Records asked him to narrate a poem called "The Shifting, Whispering Sands" over the accompaniment of the Billy Vaughn Orchestra. "That song ostensibly became a hit," Nordine says. "And then the label came to me and said, 'Have you got anything else?' Well, I'd been doing these things in a Highland Park basement with [engineer] Jim Cunningham: I had 'The Vidiot,' 'It Looks Like It's Gonna Rain,' all the things that were on the first LP." His 1957 album, Word Jazz, and its follow-ups would influence a generation of musicians, including members of the Grateful Dead and Pere Ubu; Waits and Anderson contribute liner notes to the Hip-O set. The Dot LPs have been unavailable since the mid-60s; a 1991 Rhino compilation is now unavailable as well. Nordine says he's excited the Dot material is available again, if only to satisfy the angry fans who've had a hard time finding his classic work. "I've had a lot of people telling me they went on Amazon and had to pay, like, 50 dollars for the out-of-print Rhino CD," he says. "To say nothing of trying to find all the vinyl." Art accompanying story in printed newspaper (not available in this archive): photo/Katie Did.